Our fully-equipped, soundproof and comfortable studio is here to help you get the most from your audio practice. 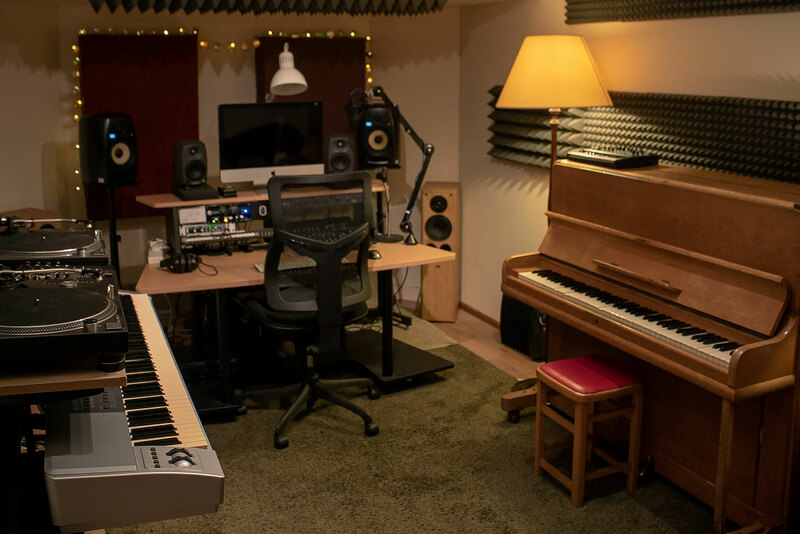 The Noisefloor is ideally suited to musicians and audio engineers, podcasters and voiceover actors, sound artists and music teachers. In short: anyone who works with sound! You can work solo or with assistance from an engineer, tutor or recording expert. Book on-demand or dedicate regular time to your projects with one of our Membership schemes, guaranteeing you studio hours every month. See below for more details, or if you'd like to discuss the best option for you just give us a call on 07397 902304. The Noisefloor can be booked on demand, for last minute or less regular sessions. Our base rate is £14 per hour for a DIY session (assistance can be booked separately). With monthly Membership at The Noisefloor there is no more worrying about the neighbours or getting distracted by other things! Sign up for flexible studio time at our best rate. Sessions bookable during opening hours (9am- 10pm M-F, 11am-1opm W/E) subject to availability. Initial membership contract: 3 months. Membership doesn’t include assistance but this can be booked for an additional fee. Please read the Terms & Conditions.